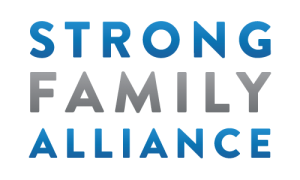 We have provided some tools for our partners and supporters to use as resources when spreading the word about Strong Family Alliance and our mission to help parents of LGBTQ children who have recently come out. Provides a website consolidating information, resources, guidance, and parent-to-parent sharing to help families stay connected and keep their youth safe and healthy. 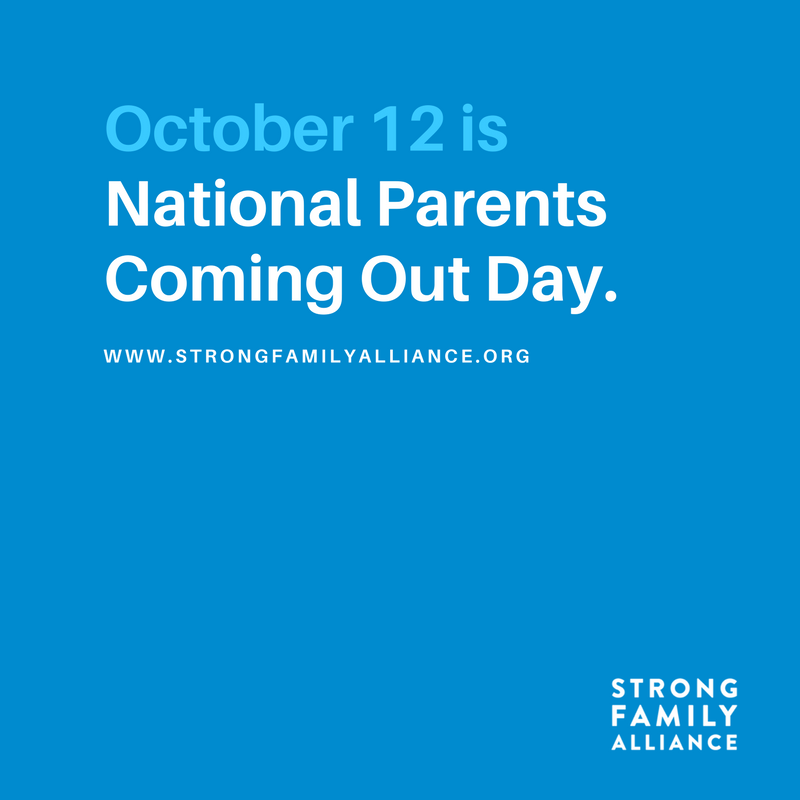 October 12 is a new designation called National Parents Coming Out Day. 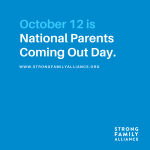 Held the day after National Coming Out Day on October 11, it’s a day when parents can show support for their LGBTQ child. 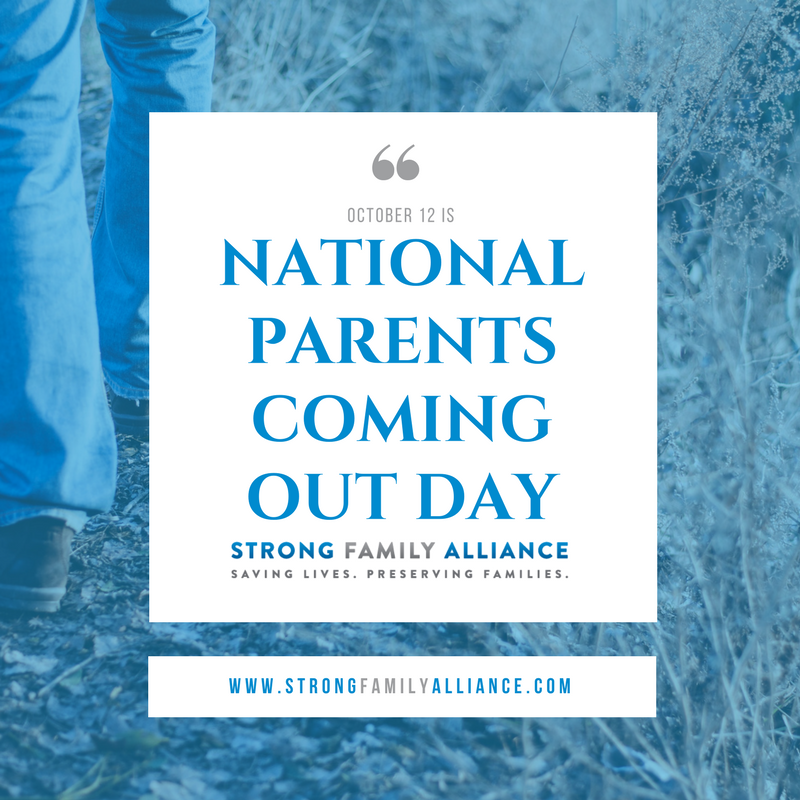 Find out more on our National Parents Coming Out Day overview page. 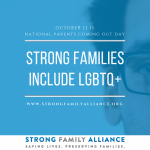 Anonymous – by posting their story on the Strong Family Alliance website where other parents can be encouraged and feel less alone. 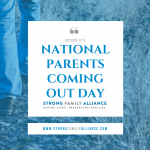 Social Media – using sample posts provided by Strong Family Alliance. 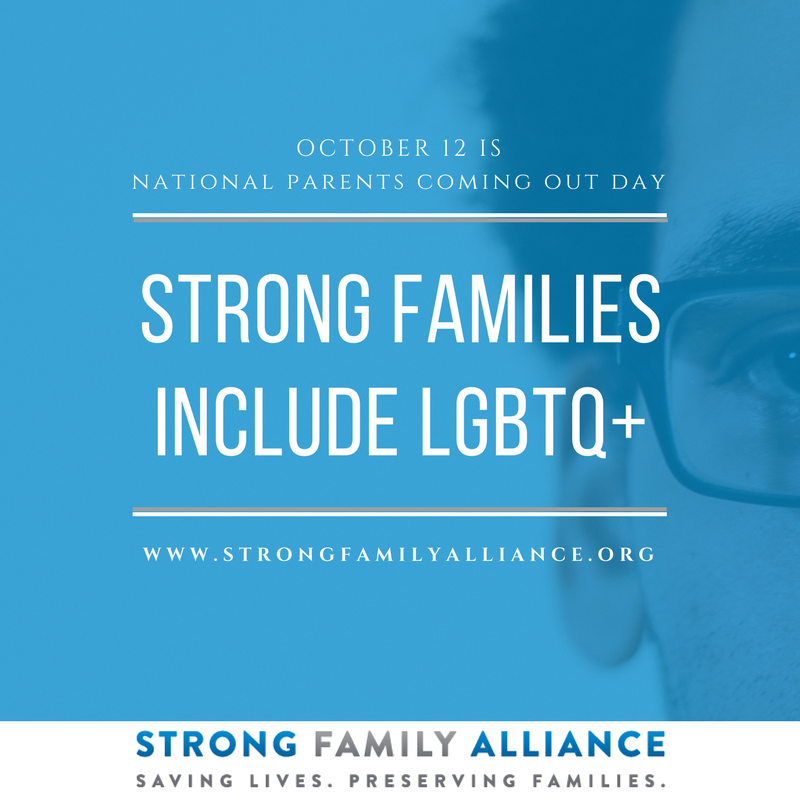 Click one of these Facebook Photo Albums to easily share a post, whether you’re a parent of LGBTQ, an LGBTQ person, or a supportive organization or ally. More sample text posts are available as well. We offer these as potential key lines or ideas to build around. We hope one of these approaches resonates for you and your readers/followers. This is something the parent goes through as well as the child, and it’s a process that takes time and energy. Be patient with yourself. Religion is what kept me from accepting my child as gay, but faith is what helped me do so.